My Tot Clock comes with the "Welcome To Children's Dreamland" Tot Clock Treasure, the "Night Sky" Faceplate, and AC Adapter. Measures 9" x 7.5" x 2.25". 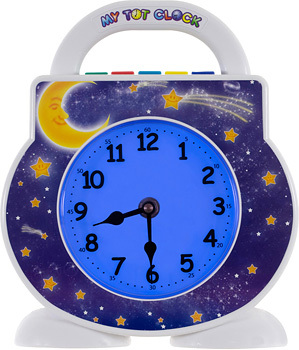 Additional Tot Clock Treasures and Faceplates sold separately. Guaranteed better sleep or your money back!